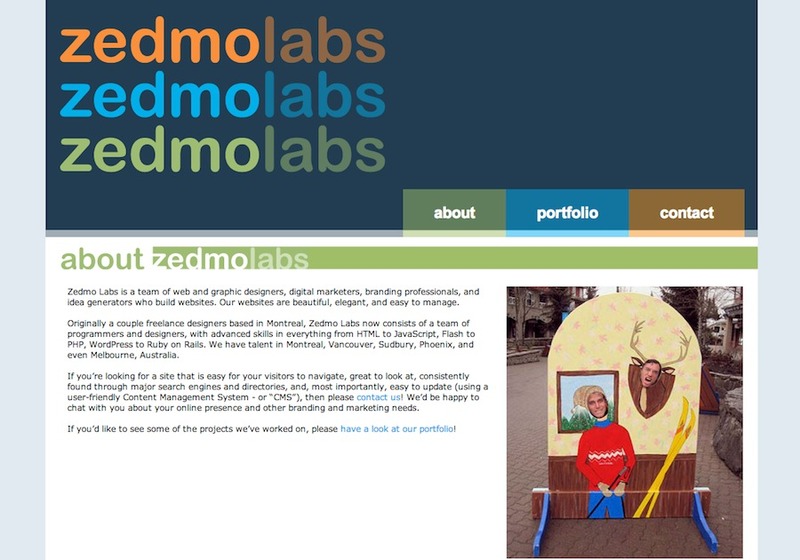 Zedmo Labs is a team of web and graphic designers, digital marketers, branding professionals, and idea generators who build websites. Our websites are beautiful, elegant, and easy to manage. If you’re looking for a site that is easy for your visitors to navigate, great to look at, consistently found through major search engines and directories, and, most importantly, easy to update (using a user-friendly Content Management System - or “CMS”), then please contact us! We’d be happy to chat with you about your online presence and other branding and marketing needs. If you’d like to see some of the projects we’ve worked on, please have a look at our portfolio!